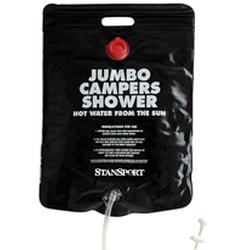 Just off the top of my head, I can think of half a dozen families I know that use camping shower bags on a regular basis in their homes. Knowing this almost makes me feel normal! Until recently, I had thought we were strange in our nightly ritual of filling our bag part way with room temperature water and then filling the rest of it with boiling water heated on our wood stove. We have done it for so long that we know just the right combination to get it to exactly the right temperature. If you have ever showered with a shower bag (especially indoors), you also know the ritual of kneeling down to get the water to flow over your back. You just can’t hang the bag high enough for gravity to allow the water to flow freely through the hose without bending down. But if truth be known, we LOVE our shower bag! It allows us to live without running water and to get clean on a regular basis. 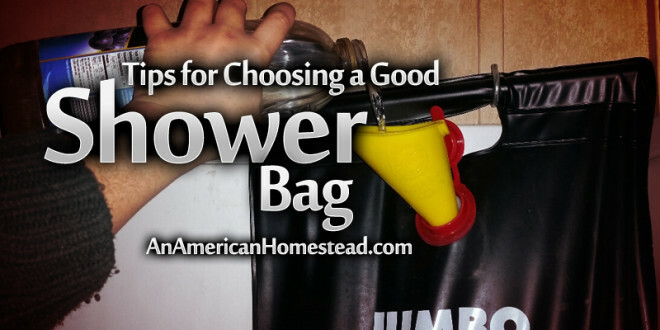 If you haven’t ever used a shower bag, you are missing out on the experience! 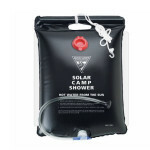 All joking aside, it never hurts to be prepared with a good shower bag. You never know when you might need one. Here are my tips on how to choose a good one. When we first began using a shower bag, I thought that all of them were made the same. We automatically reached for Coleman bags because they are the quintessential camping name. Believe me when I tell you that you can do a lot better than a Coleman bag. These are the bags that I am reviewing and they are from four companies: Advanced Elements, Seattle Sports (three different versions), Stearns, and Stansport. There are others on the market, but they all seem to be very similar to the Seattle Sports Original bag. They are also very similar in price. 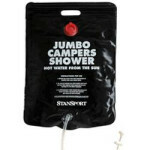 The Stansport is one of those bags, but I am including it in my list because it currently hangs in my shower. It is the cheapest bag on my list, but it has currently seen a few months of daily use and is still going strong. How is the bag filled? This is pretty important to me because I like to be able to fill my bag while it is hanging. Without running water, it takes some talent to fill the bag without a helper. I leave my bag permanently hanging on a hook in our shower. I fill it with a funnel without needing to hoist it up and down. It’s so much easier this way and I can easily pour tea kettles of boiling water into the bag (already filled with cold water) to bring it to the right temperature. 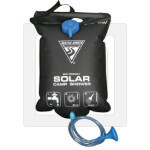 This is not an important factor is you plan on using your bag sporadically for camping and always heat it with the sun. 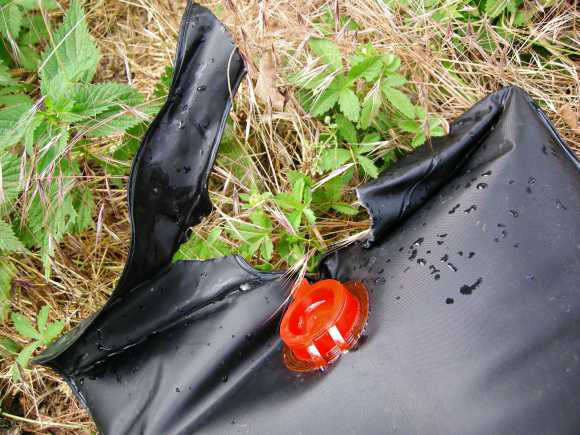 But if you are purchasing a bag for prepping reasons, keep in mind that it would be very difficult to draw water from a well or creek, or pump water with a hand pump into the bag. You would definitely need a helper to hold a bag upright. The best method I have found is to fill sturdy containers (we use old juice bottles) and use them to fill the bag with a funnel. For all these reasons, I don’t recommend purchasing a bag that you have to take down to fill. A sturdy bag is more important than any other feature! My family’s first bag (Seattle Sports Original) only started to leak after over a year of daily use. I think that’s pretty good for a piece of plastic holding more than 30 pounds of water daily! On the other hand, a Coleman bag we purchased leaked the first time it was used and a second wouldn’t hold water after a month of use. Construction is also very important with the handle. After all, it supports all the weight of the bag when it is hanging. Some bags are supported only by a very short bar. The better bags have a bar that extends across the entire top of the bag. With a short bar, the bag handle can easily rip in two making it impossible to carry or hang. None of the bags I am reviewing have a short bar. The one bag in this article that does not have a good hanging system is the Seattle Sports, New Version bag. Its hanger acts as a clamp to close the top of the bag. 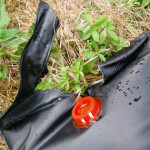 Several reviewers describe the clamp slipping off with the weight of the bag. Advanced Elements: The most durable bag, having 4-layer construction. Stearns: Better than most bags with double welded seams. How is the sprayer turned on and off? There are three different ways that a sprayer turns on and off. Many bags have a screw in and out shower head. Some have one that pushes in and out. And some have a lever that moves back and forth at the end of the nozzle. Personally, I prefer the lever. It is so easy to turn off with soapy hands and I don’t need to fumble with the screw type while wasting precious hot water getting it turned off. The nozzle that pushes in and out is easy to turn off, but many have a problem staying pushed in and can leak over time. Both Seattle Sports PVC Free versions have that type of nozzle and I wouldn’t recommend them for that reason. How much water does the bag hold? This is completely your personal preference. 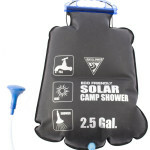 As you learn to use a shower bag, you will be surprised with how little water you can use to get clean. My family’s regular shower bag holds a total of 5 gallons, but we never fill it completely full. For our family of 4, I usually only need to fill the bag once. Granted my children are young and more water will be necessary as they grow. It is also important to keep in mind that the bigger the bag, the heavier it will be. Five gallons of water weighs over 40 pounds. Are you ready to carry that and hoist it up on a hook? If not, get a smaller bag. If you want a larger one, fill it after you hoist it. Of course, when you use that option you cannot use the solar feature. To get around that, I often sit bottles of water in the sun during the summer and fill our bag in the evening. How can I tell if the water is the right temperature? As I mentioned above, our family has used our shower bag for so long that we just know how much cold and boiling water to combine for the right temperature. Alternatively, I can feel the outside of the bag to check the temperature. Bags with a temperature gauge are not necessary, but they are a nice feature. Keep in mind that they are only available on the more expensive bags. Advanced Elements: I am sold on this bag because of its superior construction. 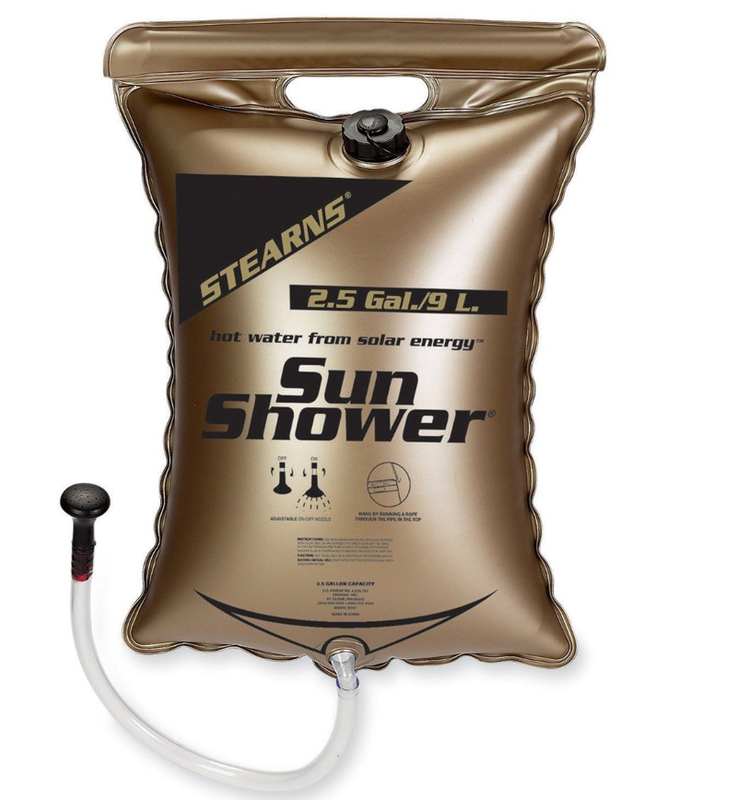 Stearns: I would only purchase this bag if I couldn’t find an Advanced Elements. The 5 gallon version is more expensive than the more highly rated Advanced Elements. Seattle Sports Original Bag: I’ll stay away from the newer versions. While they look more fancy than the original, I don’t think Seattle Sports made any improvements to its function. 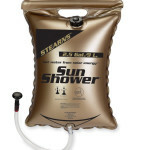 If and when my family needs to purchase another shower bag, I will definitely purchase the Advanced Elements. Its durability far exceeds all other bags and it consistently gets the best reviews of any bag I have seen. The only feature that I don’t like is the nozzle, but I could easily switch it out for one that I do like from one of my older bags. The bag is more expensive than others that we have previously used, but the price will be worth it if it lasts through our heavy use. Do you ever have trouble with it having enough pressure to effectivly get the soap out of your hair? I have really long hair.. so right now, we use a turkey fryer with a spout. I stand in the wash tub, and Michael helps me rinse out my hair. This is acutally how we bathe at home right now as well, since we don’t have a seperate bathroom. Have a nice weekend Jaimie! I watch your videos and I love to learn all about the ways u live different from the common american. Ive seen your outside stove the pizza oven and I know u have a propane stove inside. Do u ever work so hard that u just dont feel like cooking dinner? And if so what do u usually do to feed ur family those nights? In the early ’80s, my ex and I bought some land in northern Arkansas. We first dug a well but didn’t have power. My ex built a small well house and to the side built a platform on which to stand and a platform above to hold a 55 gallon barrel. It was a very dark blue brand new barrel. He attached a shower head to it and we would run our generator to pump water from the well to fill it. Sitting in the sun all day heated the water just fine. Granted this woks only 3-4 months of the year but even off-grid, if you have some way to pump water to it, it is a great solution. As always, I learned a ton! Thank you for writing this because we are, indeed, looking into these. Loved that you did all the trying for me! Thanks for the review! Our Coleman bag started ripping at the handle after about 4 uses. Duct tape to the rescue! I am in the process of making a shower bucket…kitty litter bucket with a hole drilled into the bottom and a small shower head attached. I have used it once with a low-flow head….did not let enough water through, even with 5 gallons in the bucket. Might salvage the head from the Coleman bag and retro-fit. 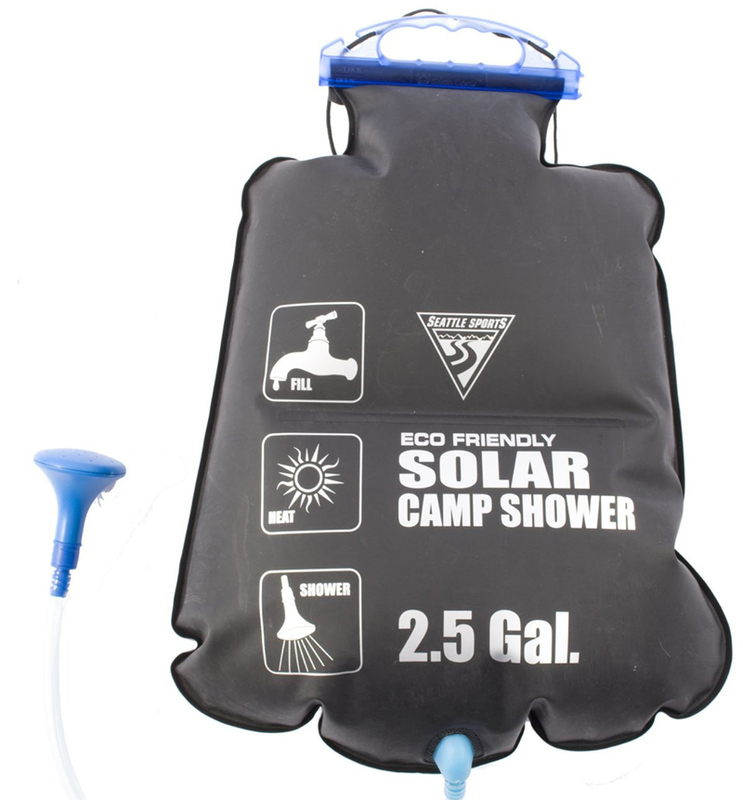 But yeah, these portable camp showers make living off-grid without running water a lot more comfortable! Tim, Take the shower head apart and drill a larger hole. Most shower only have an 1/8 inch hole. I drilled a 3/8 inch hole for ours. 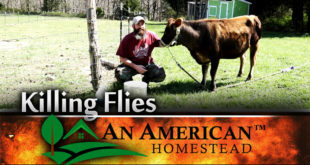 We used the Solar Shower for awhile at our homestead… then moved on to the hand sprayer modified with a shower head. 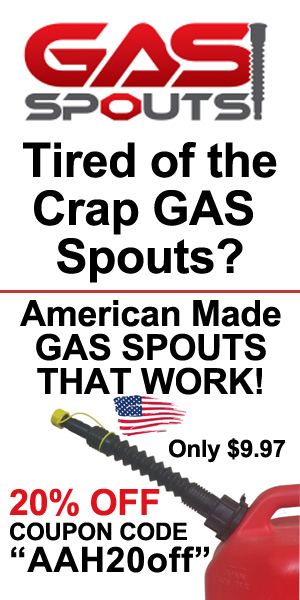 (same used for spraying manure tea… or the nasty round up, or bug sprays) . Just fill it with warm water and bump up the pressure. It works great and you do not need to be on your knees or bent over to get an awesome shower… we use about two gallons per shower. Thanks for the information! We want to take grand-kids camping this summer and are getting a pop-up camper. 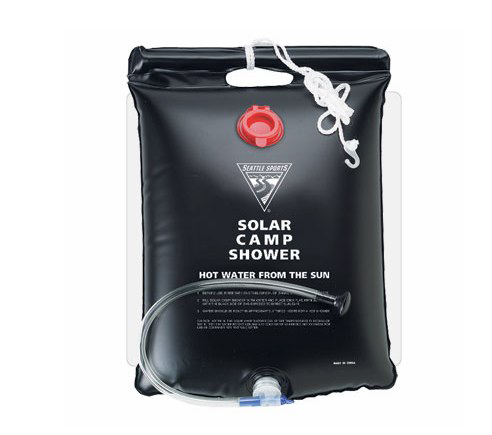 The one we want does not have a shower so a solar shower bag is what we are looking into. Probably get the Stearns at Cabala’s. Not sure where to even get a Advanced Elements. Again thanks for the info. 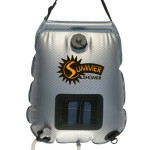 Gary, I found the Advanced Elements bag – several choices in fact – on Amazon. You can probably find the other brands on there, too. Hope that helps. We’ve just been using the bathtub and a half gallon piture (or however you spell that lol) . We don’t have kids at home anymore so it’s just the two of us. One stands outside the tub and pours from the piture while the other uses both hands get it where they need it. Refill piture as needed. I have a 2 gallon coffee kettle that is easy to use to refill the smaller piture. That usually is more than enough for two showers. This does require two people involved but for us, it’s not a problem. And it’s fast so one can get in right behind the other one and be both be done pretty quick. I do not wash my hair. Sometimes I rinse with clear water. But I have gone the last six years with rarely washing my hair and been shocked at how healthy and nice it is staying once it got over the greasy stage when I first stopped washing it. Now the oils in my scalp are balanced and doing their job. We use a basic coconut oil hand made soap with no fancy ingredients. Trying to stay away from chemicals. We have no hot water heater. When the wood stove is running, it heats water. When it’s not running (summer), the cold shower not only feels good, it has been proven to have health benefits. Sometimes in the winter, instead of showering, we go all out and put warm water in the tub to soak in Epsom salts, etc. Helps to remove toxins. We use a new mop bucket bought at the dollar store, heat water on the stove and dip with a small plastic bowl we’ve done it for years. It works great. Unless washing my hair, it only takes a small amount of hot to cold in summer, a little more in winter. No hot water heater bill either. 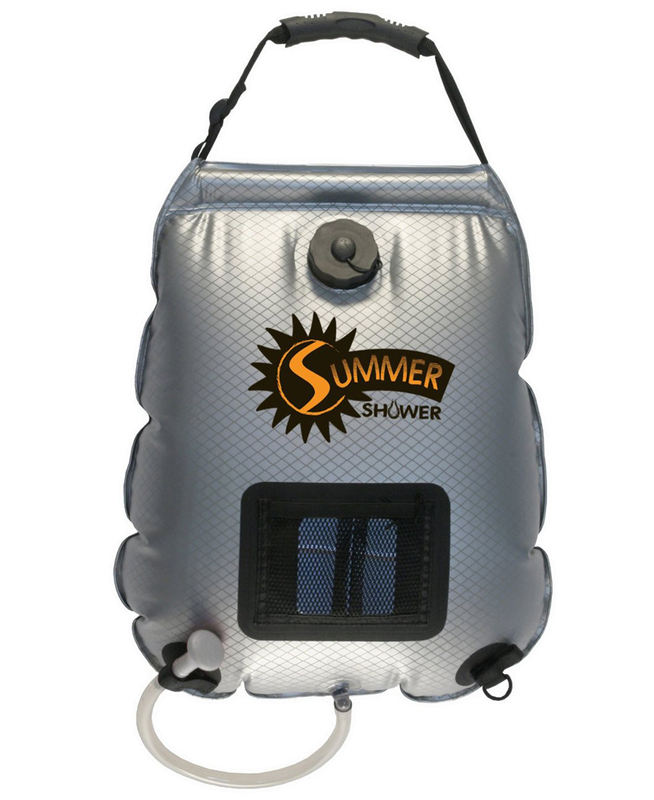 Hi guys, have you guys tried out any outdoor shower pumps? I know most of them run on disposable batteries, but I found a few that use 12 volt systems (for cars). I was wondering if these could be used off a solar system, rewired somehow? and instead of using a bag, maybe a bucket would do with this setup. I’m not endorsing this product, it’s just the first I came across with power requirements listed. here is a link to it on ebay, but I am sure it can be found elsewhere. There is probably better units out there. This is just a thought I had when you were describing the wonderful time of bending down to get your back wet. I’m about 5,11, so I am sure Zach is having a challenging time with it, lol. 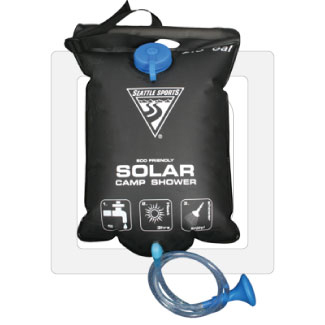 Anyways thanks for the tips, I may be purchasing one of these soon for a camping trip and possibly future use. Thanks for the giving information. Loved that you did all the trying for me! I think it’s a great review about choosing good shower bag. i am just looking into these. Finally found your blog hope so it will be helpful for me. Thanks again for sharing your informative article.